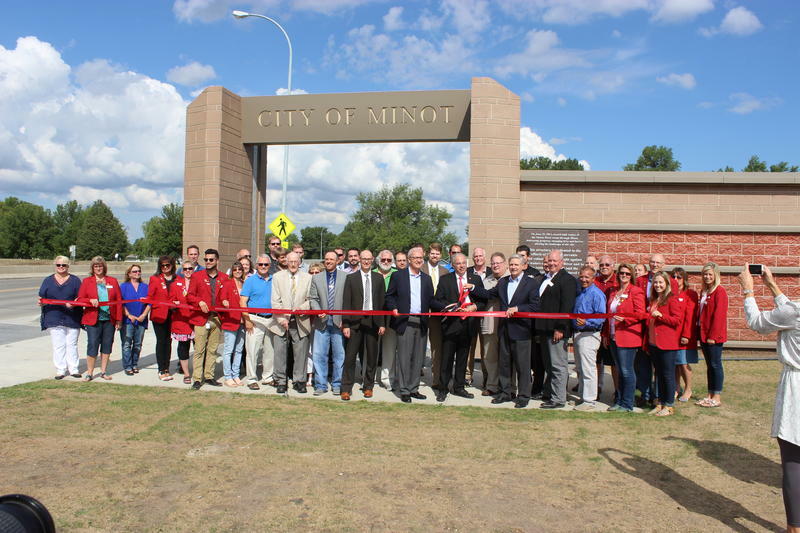 Now that the floodwall to protect Minot’s water treatment facilities has been completed, work will begin soon on the rest of the flood control project. "The first three phases go out to bid yet this summer," said Minot Mayor Chuck Barney. "We'll get some dirt moving." Barney said the city is looking for a little more funding for that phase. He said the fourth phase is critical. "It ties together some of the earlier phases, and takes 60 percent of the residents of Minot out of the flood zone," Barney said. "That's critical for those people, because they don't have to deal with flood insurance. And they can sleep well at night." Barney said the city is working as fast as it can to get the project completed. "If you're in the risk of being flooded, there's a sense of urgency that is justifiable," Barney said. "We are working as hard and as quickly as we can with the resources that we have."